NIO, the Chinese-backed electric vehicle startup known for their mad quest to break track records with their EP9 supercar, has finally whipped out plans for a normal car for regular people. 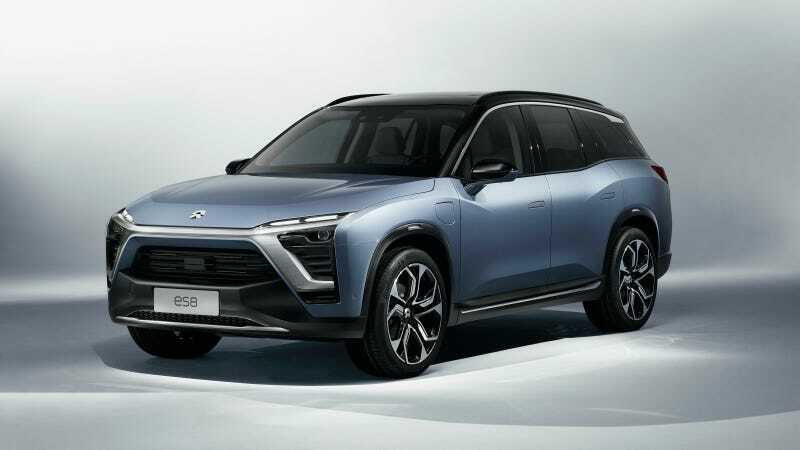 The NIO ES8 is a three-row Chinese-market-only electric SUV with room for seven. The full-size, all-wheel-drive ES8 SUV has electric motors at the front and and the rear. To offset the weight of the batteries and motors, NIO opted for a lightweight aluminum body and chassis. The company also says that the ES8 has their new corporate design language that will appear on later models, including those that might be coming to the United States. It’s funky, chunky and bold everywhere but the back, which kind of looks like a present-day Jeep. The car’s interior follows Tesla’s lead a bit, with a big screen in front of the driver as well as a massive screen on the center console. The company says the ES8 has already been tested in extreme temperatures and weather in Inner Mongolia and Australia. They’ve already built an insane, ultra-low-volume supercar, so can they scale up production to pump out a regular car for regular people? We’ll see. Sales of the ES8 are planned to begin in China (and China only) in early 2018. No pricing was announced just yet, but they plan to officially launch the SUV later this year. The company also announced plans to build a second batch of 10 EP9 supercars in addition to the six that were already made for investors. 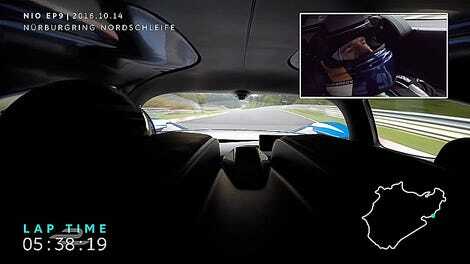 You can pick one of those up in the United States, but it will cost a whopping $1.48 million.